15 Aug	This entry was published on August 15, 2012 at 12:08 pm. It’s filed under Uncategorized and tagged Alabama, ecology, mushrooms, nature, sunshine. Bookmark the permalink. Follow any comments here with the RSS feed for this post. Never saw something even similar!! Amazing shot Stephanie! Thank You 🙂 I think mushrooms are magical also 😉 I’ve been fascinated by them all of my life… Glad you like the shot. That is really a neat shot. Oh my goodness. Like something from Alice in Wonderland! 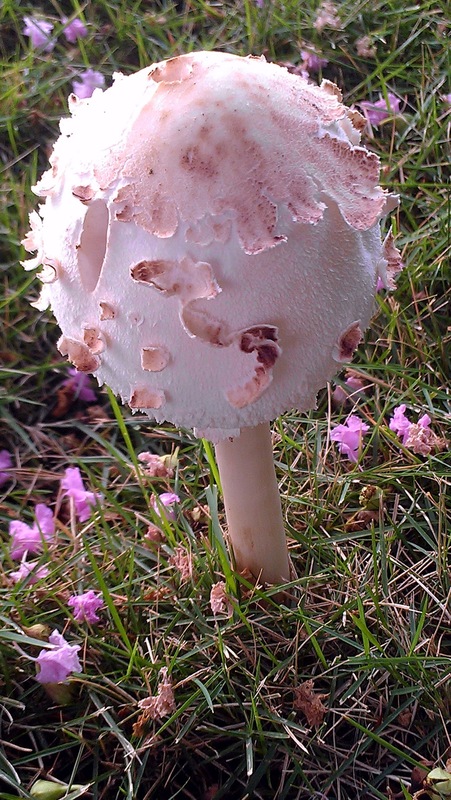 I love mushrooms too, Stephanie, but have never seen anything like this beauty. That mushroom is so cool, I’ve never seen anything like it before. Did a lot of “magic” shrooms 40 years ago. Now they are just for pizza. It’s a beauty, is it edible? I don’t believe that it’s edible. I’m thinking its Chlorophyllum molybdites, if so it’s highly poisonous. I love fungi too and you can really see the texture of this one, what a beauty!